The first settlers of this territory were known by the name of Chichimecas (pack of dogs), which were mostly nomadic tribes. The origin of the sedentary population goes back to the appearance of orchards, whose large houses allowed the development of the oldest neighborhoods of the city: Triana, San Marcos, La Salud and La Estación. 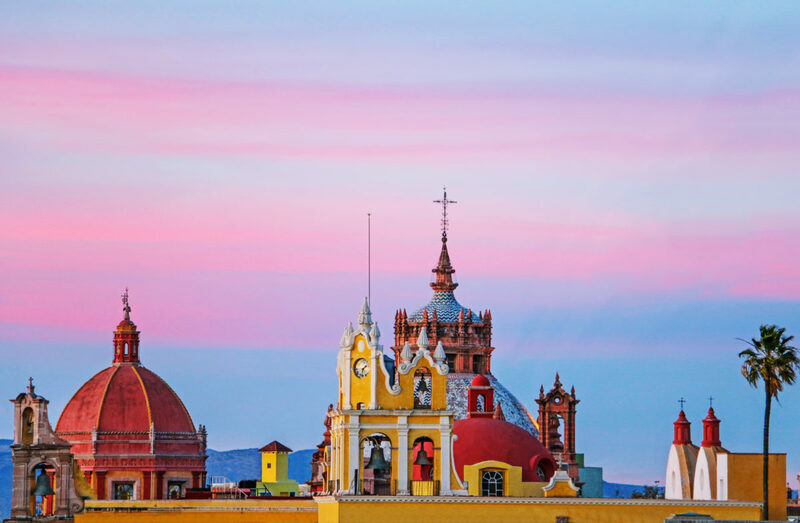 The name of Aguascalientes is due to the abundance of thermal waters that existed in this area. Its foundation, by Royal Certificate of 1575, under the name of Villa de Nuestra Señora de la Asunción de las Aguas Calientes, was mainly due to the need to provide shelter and protection to travelers who traveled the Ruta de la Plata or Camino Real de Tierra Adentro, which was recognized since August 2010 as UNESCO World Heritage Site. 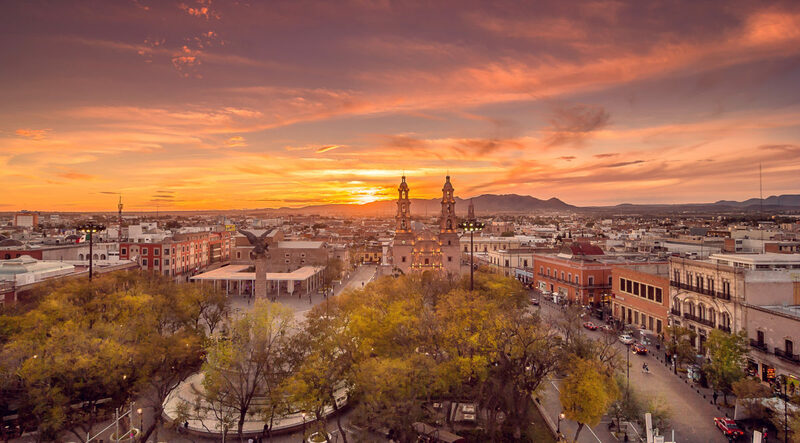 The State of Aguascalientes is located right in the center of Mexico, and has an area of ​​5,197 square kilometers, which represents approximately 0.3% of the country’s surface. It borders the States of Jalisco and Zacatecas. Its privileged location, within the triangle formed by three of the most important cities in the country, guarantees unparalleled connectivity, either by land or by air. 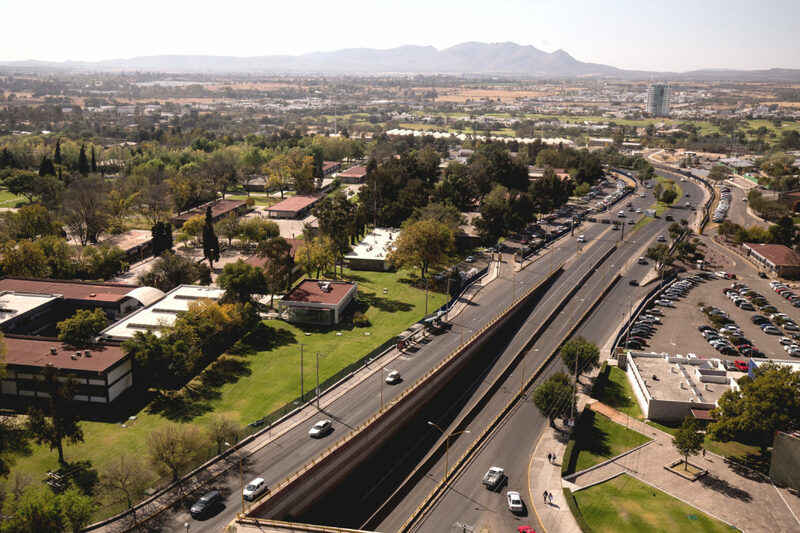 The Aguascalientes International Airport has connections with four national and three international destinations: Los Angeles, Dallas/Fort Worth, Houston, Tijuana, Mexico City, Cancun and Puerto Vallarta, which, through their connections, make the State reachable from all over the world. The Bus Terminal has presence of the main commercial lines of land transport and connects directly with the main cities of the country as well as offering direct transportation to the United States. It’s located on the ground floor of the Government Palace. The Tourism Ministry has all the necessary information to know the State. Visitors can call or go directly to get more information. The service is available from Monday to Sunday, from 9:00 a.m. to 7:00 p.m.